This guide will instruct you step-by-step on how to set AppLovin live as an Ad Network on the ironSource Mediation platform. Make sure you have correctly integrated ironSource Rewarded Video into your application. Create an account with AppLovin. You can do so here. AppLovin automatically creates an application in your account after the first Ad Request is made with their SDK in your app, so you don’t need to specifically create one on their Admin site. The App name in your account will be the same as the app name defined in your ironsource.config file (Android) and/or Plist file (iOS). 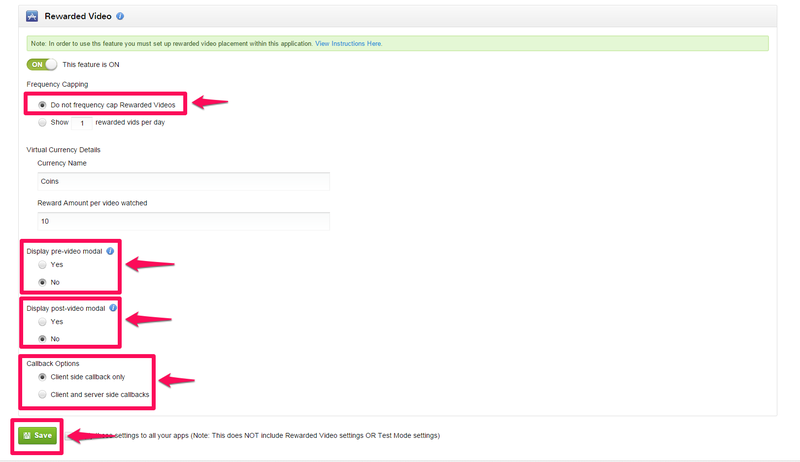 The next step is to grab your ‘SDK Key‘ from your AppLovin account and add the AppLovin Adapter to your build. With this key in hand, you can easily add AppLovin to your ironSource account. Report Key This is a unique identifier for your AppLovin account, which allows your ironSource Mediation Platform to import performance data from your AppLovin account to use in reporting & optimization. SDK Key This is a unique identifier for your AppLovin account. This is used by the ironSource Mediation SDK to Init the AppLovin Adapter for your apps. Once you obtain this information, you must configure the AppLovin parameters in your ironSource Account. By adding the above information correctly, you will be able to take full advantage of AppLovin’s ad inventory and reporting data on ironSource’s Mediation platform. Fitst, go to the ‘Account’ tab and select ‘Keys’ from the left side menu. To find the ‘Report Key’, go to the ‘Account’ tab and select ‘Keys’ from the left side menu. To find the ‘SDK Key‘, go to the ‘Account‘ tab and select ‘Keys‘ from the left side menu. Once you have both of these parameters, log in to your ironSource account and go to ‘Monetize‘ ➣ ‘Setup‘ ➣ ‘SDK Networks‘. Select AppLovin from the table of Available Networks and enter the AppLovin ‘Report Key‘. Select AppLovin from the Setup list of Ad Networks and click on the Define icon. Enter the AppLovin ‘SDK Key. Set the status to Active and click ‘Save’. You will then see AppLovin as Active for Mediation on your Setup Dashboard. 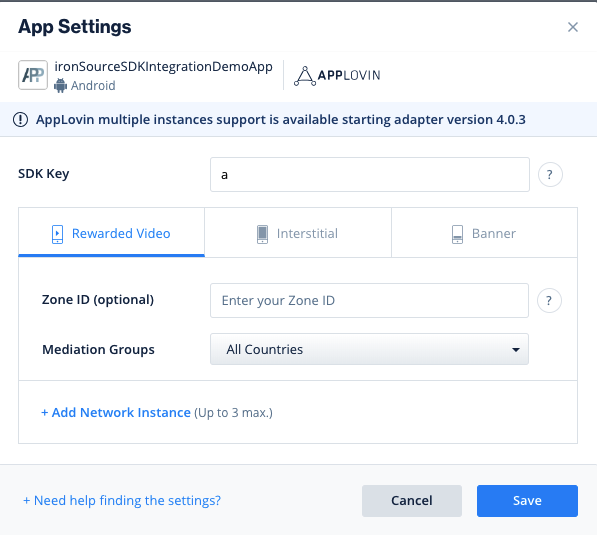 Once the AppLovin Adapter has been added to your build, you need to enable the Rewarded Video functionality in the AppLovin Admin. You are now all set to deliver AppLovin Ads within your application!